It’s the season of Spring Cleaning. Though spring has been late to arrive, it doesn’t mean we should wait to organize for the seasons ahead. Time to store away winter wear and prepare for warmer days ahead. 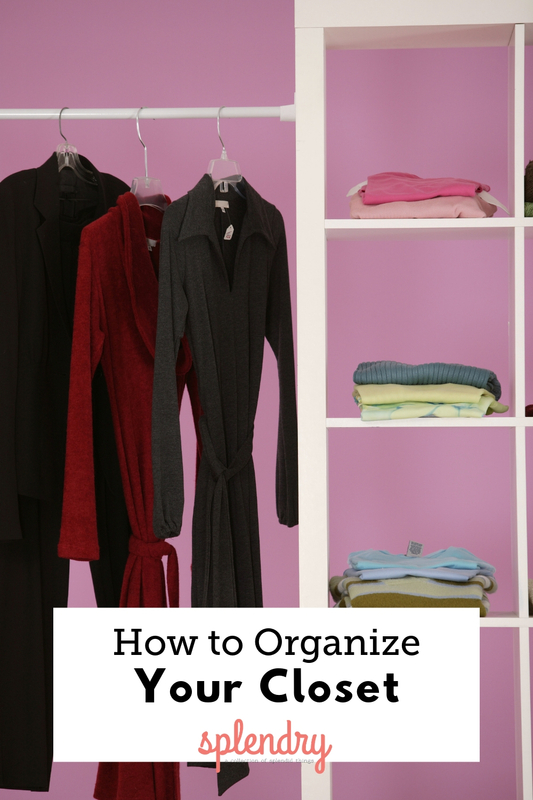 And if you have an overstuffed closet, then it’s the perfect time for a good overhaul. 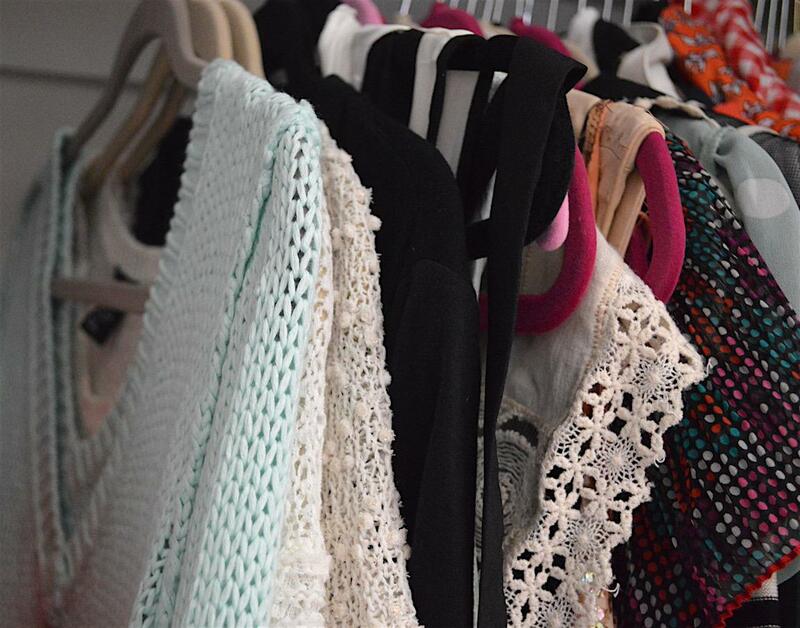 Here are a few ways to organize your closet for spring and create some extra space too. These might be a bit pricier than a plastic hanger, but worth every penny. Not only do they save major space in your closet, they look better too. 2. Build vertical shoe racks. If you have room in your closet, add a vertical shoe rack. They’re not the most aesthetically pleasing, but it’s inside, so who cares really? 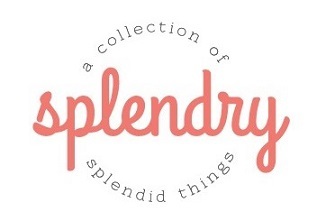 For those shoe lovers this can be a real key item to organize your wardrobe for spring. 3. Use an ottoman with storage. It’s all about hidden storage, and a nice ottoman to hold your winter sweaters will do the job perfectly. 4. 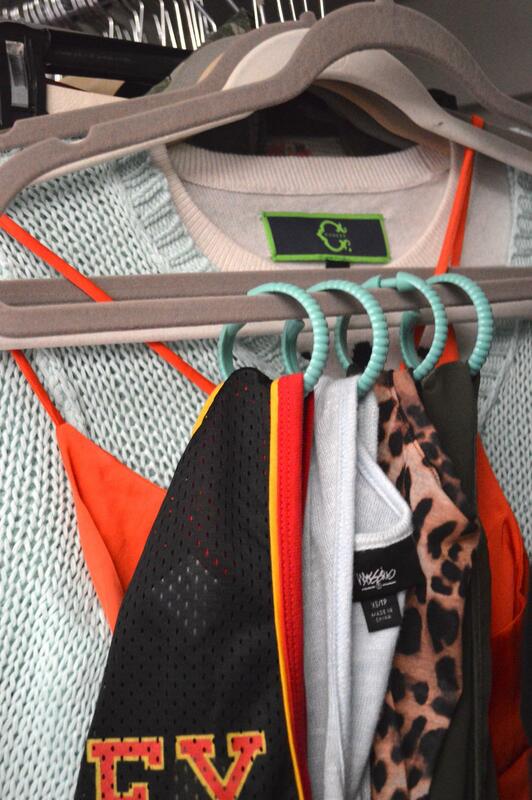 Add shower hooks to a hanger. This little trick is a space saver hack for those who need a little extra room in their closet. Buy a set of cheap shower hooks and attach them to your flat hanger. Then loop in the shirts you want to hang. This is good for tank tops, and items that won’t wrinkle to easily. 5. Move things to under bed storage bags. 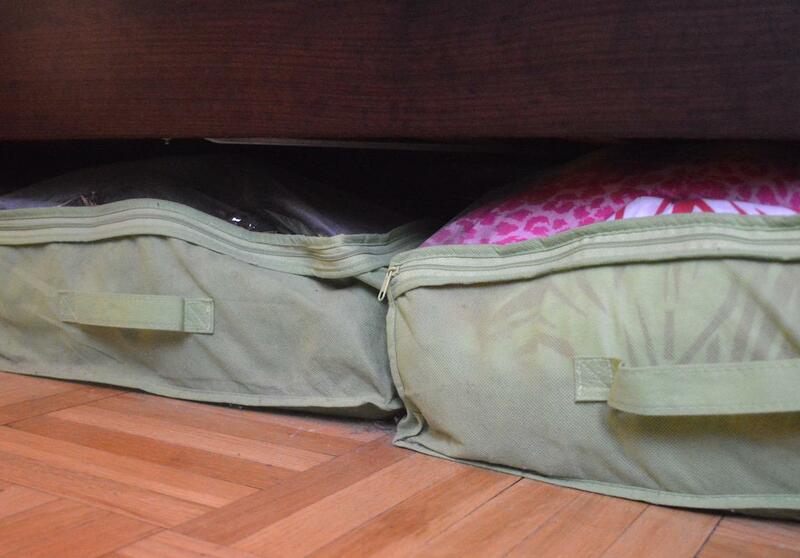 If you have room under your bed to store things, this is another great use of hidden storage space. Store away bulky sweaters, and bring warmer weather clothing back to the closet. Bee is an NYC native, freelance writer, storyteller and founder of lifestyle site Style Island. She has a passion for monograms, Paris, horror films, true crime, and vintage. In her spare time she can be found devouring Dateline ID and venti lattes.